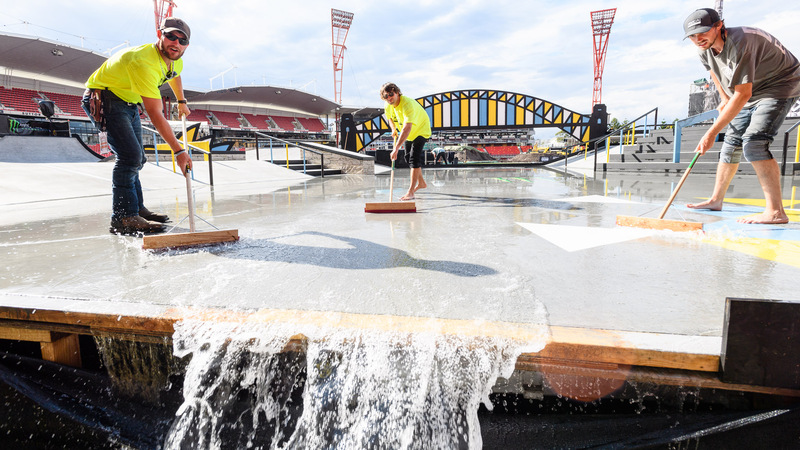 Men's Skateboard Street closed out the final day of competition at the X Games Sydney, our first-ever event in Australia. We captured the action in this rolling gallery, which we updated throughout the weekend, so click on to see the photo highlights. Thanks for having us, Australia. We'll see you again next year! 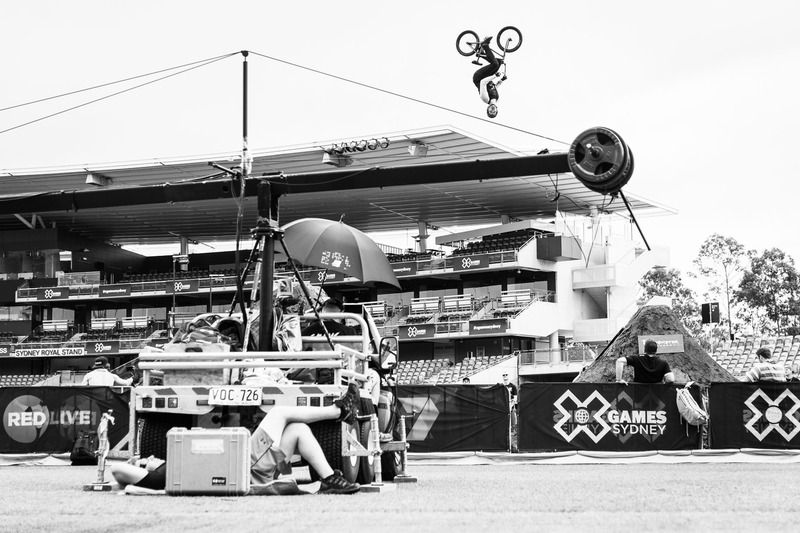 X Games Sydney was a watershed moment for BMX Big Air. 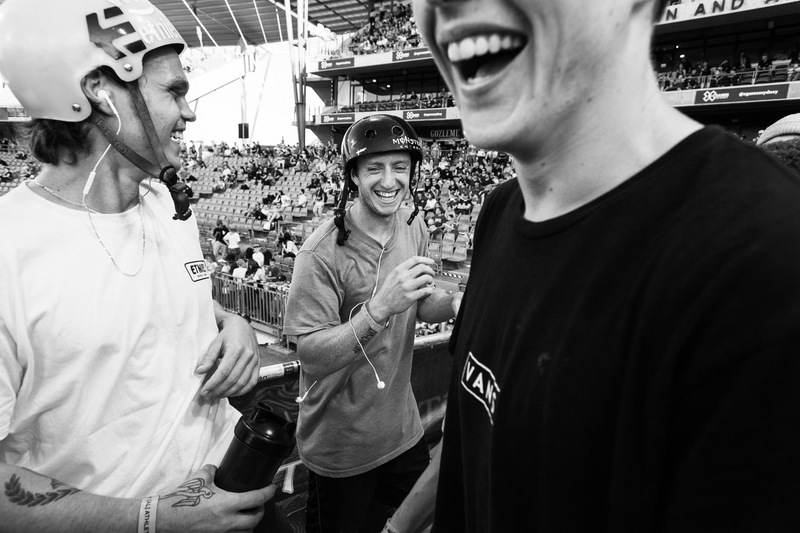 Whereas in the past, riders dropped in, aired the gap and then the quarter, drop-in tricks started to emerge in Sydney. 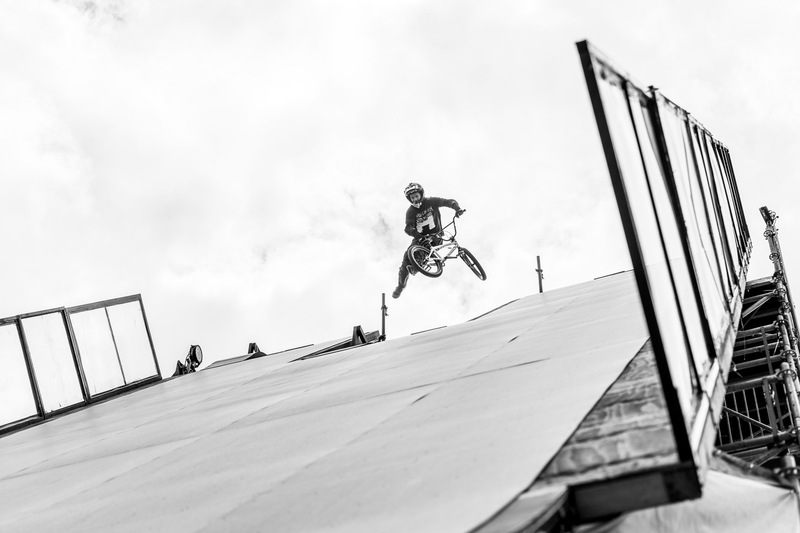 Imagine sitting on top of the 70-foot roll-in and then deciding to tailwhip in. 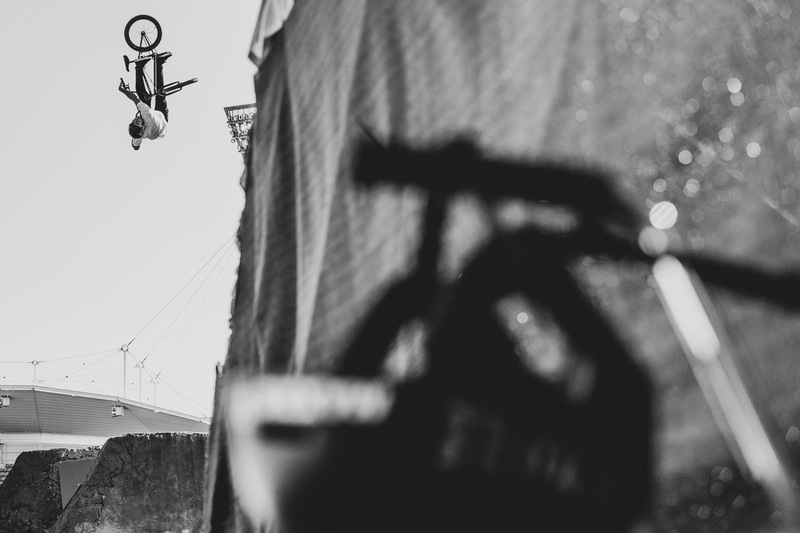 That's what Morgan Wade did, and it pushed BMX progression ahead a few years in the process. It looked as if Australia's hometown skate hero, Shane O'neill, was going to finish in the middle of the pack in the Men's Skateboard Street Final. He fell in the middle of his third-and-final run, but then pulled off a switch bigspin flip to front boardslide to fakie down the big handrail in the end of his run -- a trick so hard it bumped him into the bronze-medal position. 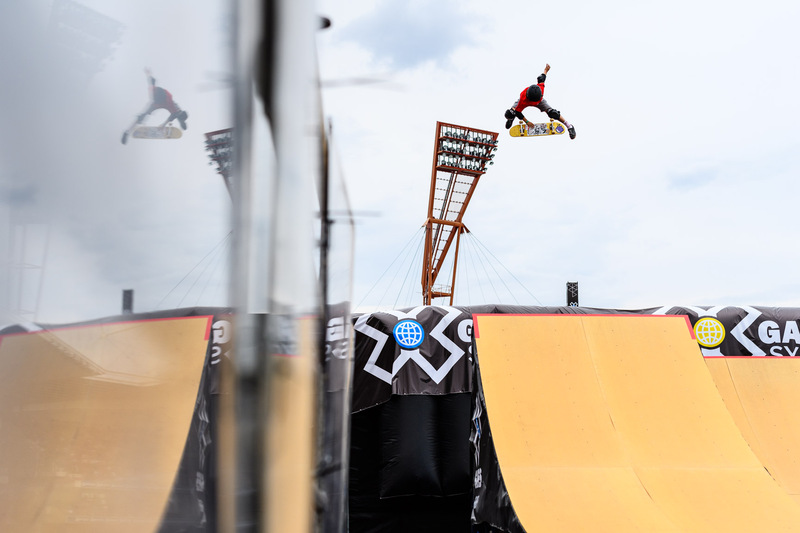 Despite rain forcing cancelations in Moto X Doubles, Step Up and QuarterPipe High Air, a few events were able to go down, and they were spectacular. 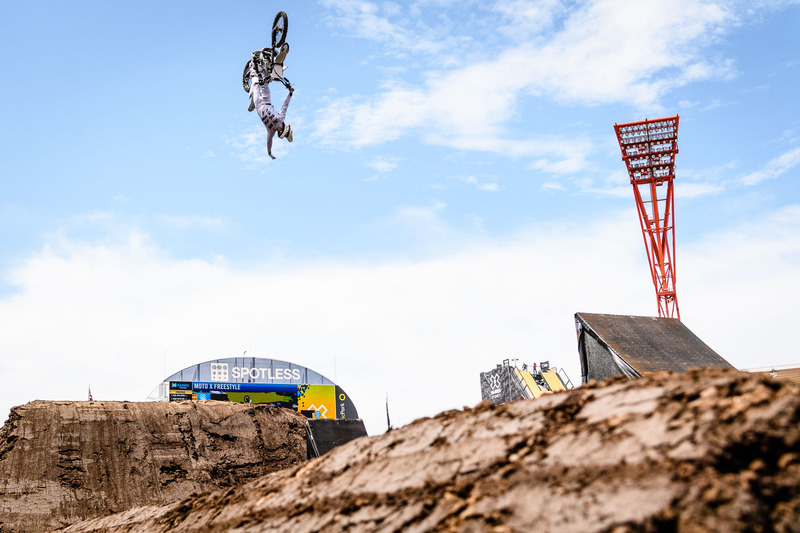 Here, Rob Adelberg rides his way to gold with a no handed front flip in Moto X Best Trick. 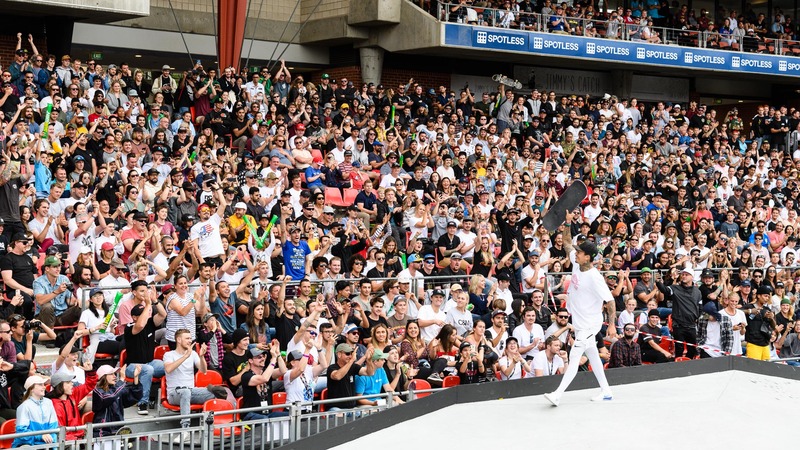 Semi-local Tommy Fynn hails from Brisbane, Australia and set the bar high during the Skateboard Street Qualifier on Saturday at X Games Sydney 2018. Following a third-place finish in the Qualifier, Fynn returned for finals but was relegated to 10th place -- not for a lack of stylish boardslides or anything, though. 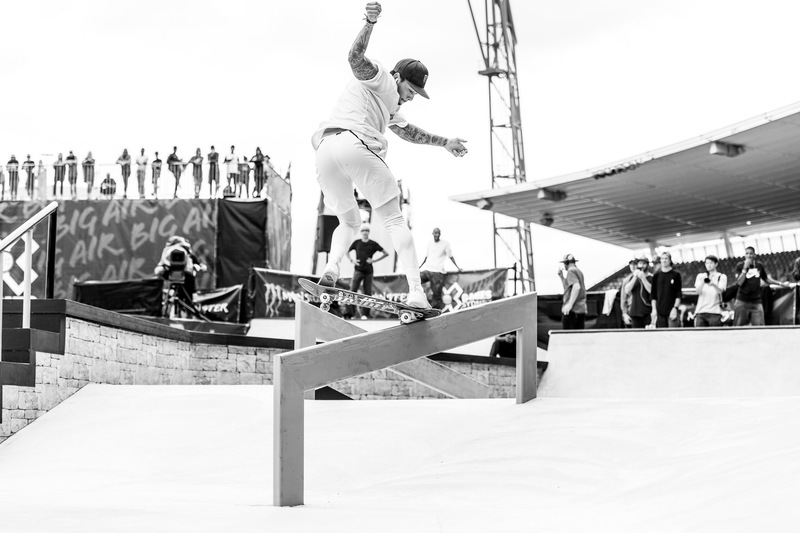 Although the masses will argue about Nyjah Huston's decision to wear compression pants in the Men's Skateboard Street finals, no one can argue with his inherent skate talent. 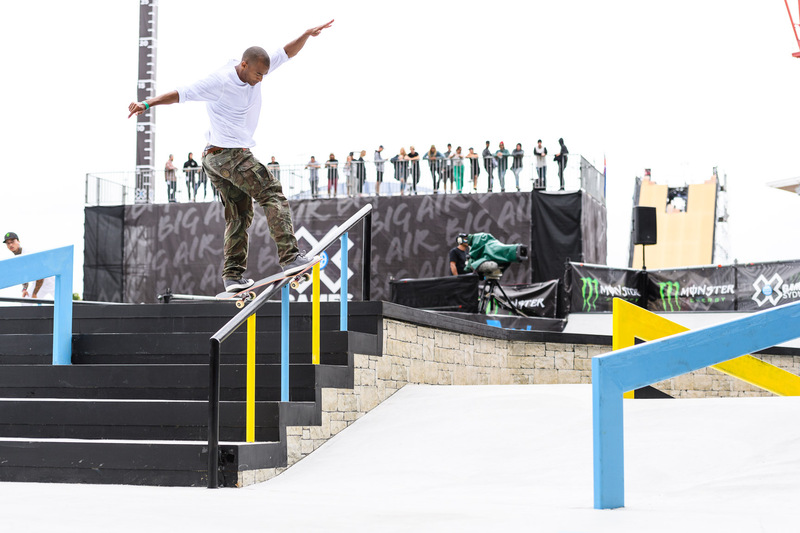 At X Games Sydney, Huston delivered two of the most technically progressive and groundbreaking runs in skate history. Chalk up another gold medal for Huston, and watch for a compression pant trend to emerge in skate. Earlier this year, Ryan Williams made a YouTube video explaining how he wanted to qualify for BMX Big Air at X Games. He got the invite in Minneapolis, but failed to medal. On home turf, all that changed. Williams stomped a plethora of front flip flairs for the first time ever, and it pushed him to the top of the podium for his first gold medal. Ryan Williams celebrates his hometown gold-medal win. As he should... As he should. Taka Higashino was sitting in the bronze-medal position when Tom Pages dropped in for the last run of the Moto X Freestyle Final on Saturday. After not finishing his first-of-two runs, Pages went hard for redemption in his second and landed in the gold-medal-spot, bumping Higashino down to fourth place. Sponsorless X Games rookie Pat Bowden didn't have to travel far to compete in Moto X Freestyle at XG Sydney. The native Australian finished off the podium in sixth place. 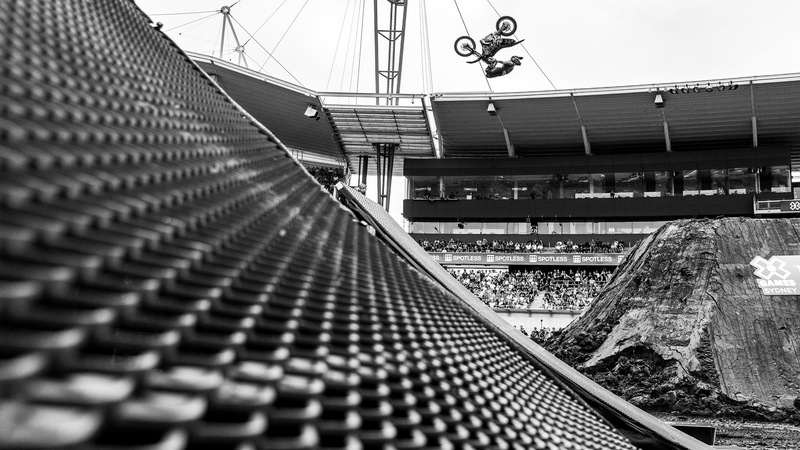 Moto X Doubles was set to close down the second day of action at X Games Sydney, with riders in the starting gate ready to drop in for competition, when a massive storm rolled in and closed the day out instead. 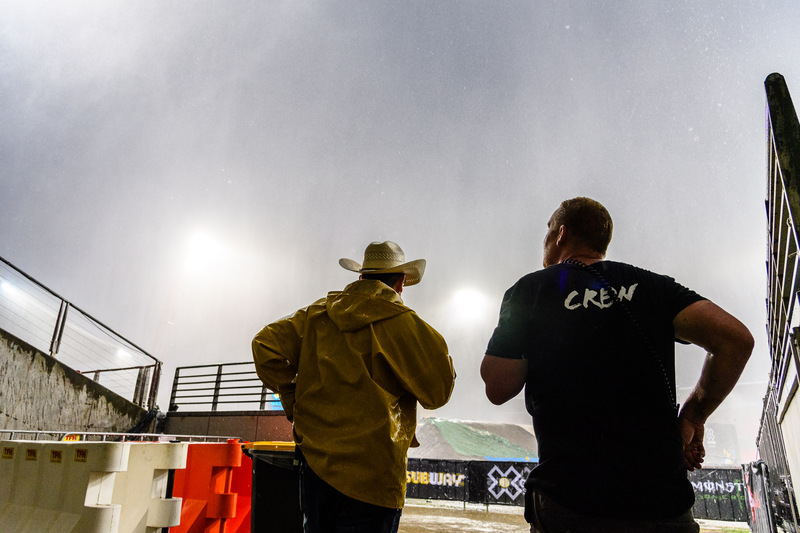 The weather went from sunny and hot to thunder, lightning and sideways rain in a matter of minutes, forcing a cancelation of the Moto X event while sending fans running for cover from the instantly-soaked stands. 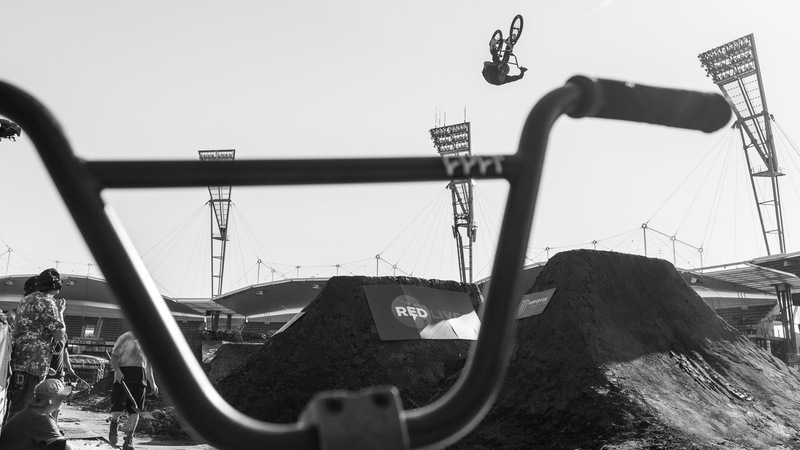 Day 2 of X Games Sydney kicked off with BMX Dirt. Brazils Leandro Moreira kept it smooth and stylish on a setup that had suffered under torrential rains, but still managed flip whips, clicked turndowns and more. Chalk up seventh place in the Final for the most stylish dirt rider to emerge from Brazil. At opposite ends of the spectrum from Moreira is BMX Dirt rider Brian Fox, who consistently brings his high energy and enthusiasm to the BMX Dirt stage. 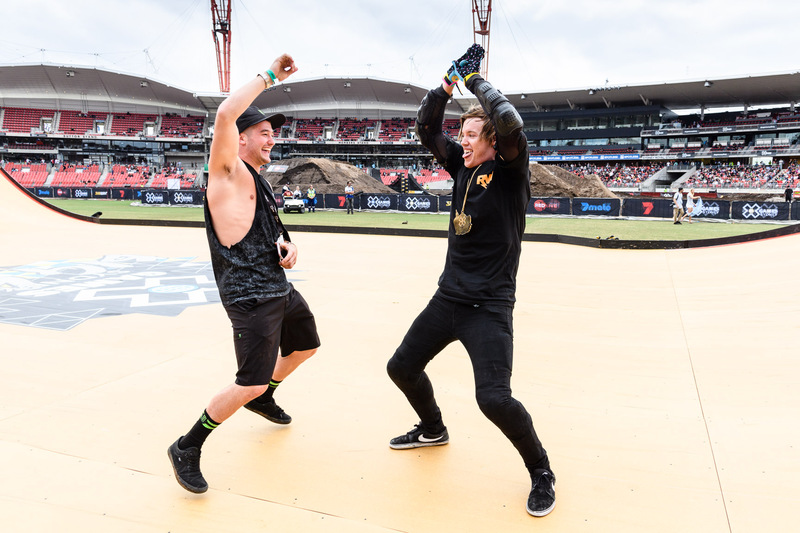 Fox, who traveled from Florida to compete in Sydney Dirt, finished off the podium but still pushed the limits on crowd energy and excitement. Here, he lofts a casual backflip during the Final as a cameraman takes a nap off stage. Fifteen-year-old Toby Ryan grew up skating with Skateboard Park gold medalist Brighton Zeuner. 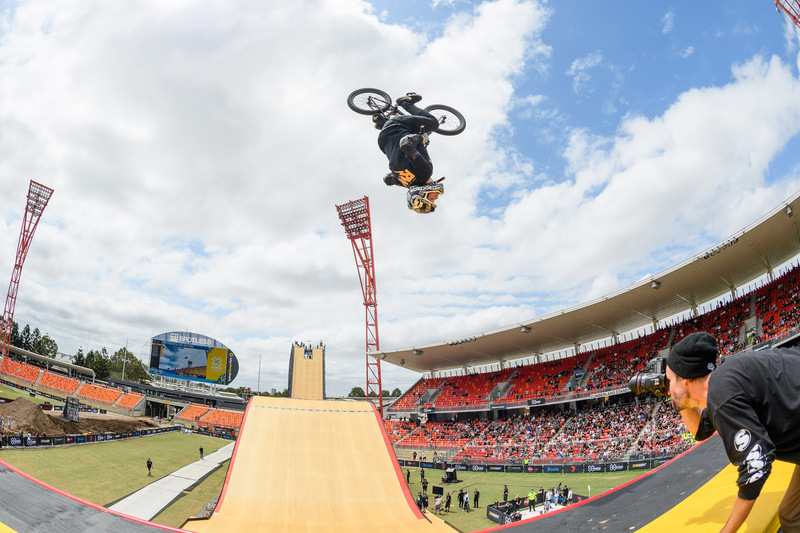 He made his second X Games appearance here in Sydney, qualifying into the main event on Friday and finishing in a respectable sixth place in the Final on Saturday. Dashawn Jordan has yet to medal in the X Games, and he unfortunately didn't make it out of Saturday's heavy-hitter-stacked Skateboard Street Qualifier. That doesn't mean we're not rooting for him, however. The Tampa Am 2016 winner's time is surely soon to come. 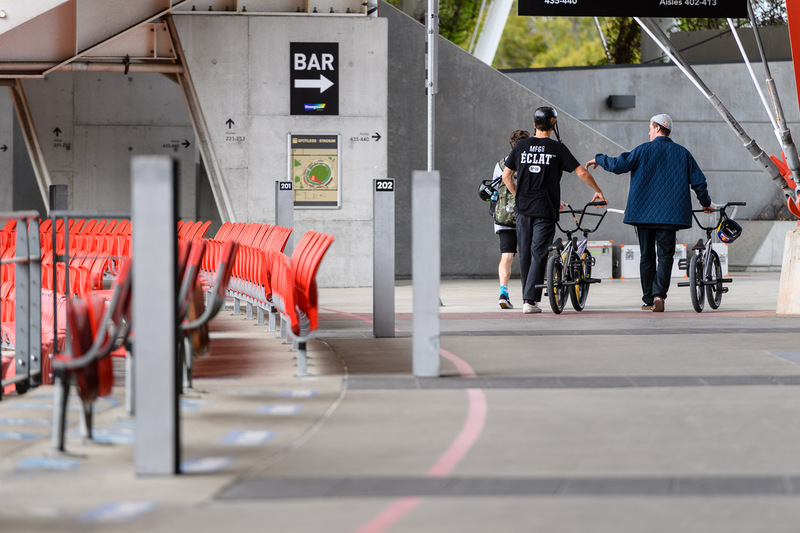 Cult Bicycles, home of X Games BMX Street pioneers Sean Ricany and Dakota Roche, had a few loyal brand users on the BMX Dirt course at X Games Sydney. Here, Alex Nikulin backflips behind a classic two-piece handlebar design from Cult in the BMX Dirt Qualifier on Friday afternoon. X Games Minneapolis Women's Skateboard Street 2017 gold and 2018 silver medalist, Aori Nishimura, came into Sydney a favorite to podium. She did not disappoint, finishing the night in bronze-medal position behind Leticia Bufoni and Mariah Duran, who were on fire, finishing in silver and gold medal spots, respectively. 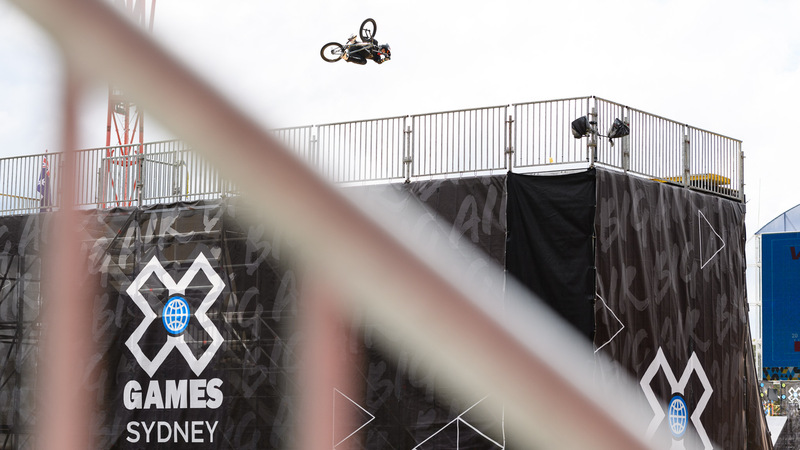 Alex Donnachie's runs combined technical hits, stylish reactions to bump jumps and seemingly casual rail grinds to land his first gold medal at X Games. Here, Donnachie bump jumps to toboggan on the BMX Street course. On the video scene, Scottish BMX rider Alex Donnachie is on his own level, innovating, traveling and pushing the limits of technical, burly street riding. Two years ago, Donnachie competed in Real BMX, but failed to medal. And in an ironic turn of events, Donnachie traveled to Sydney to take gold in one of his very few competition appearances. 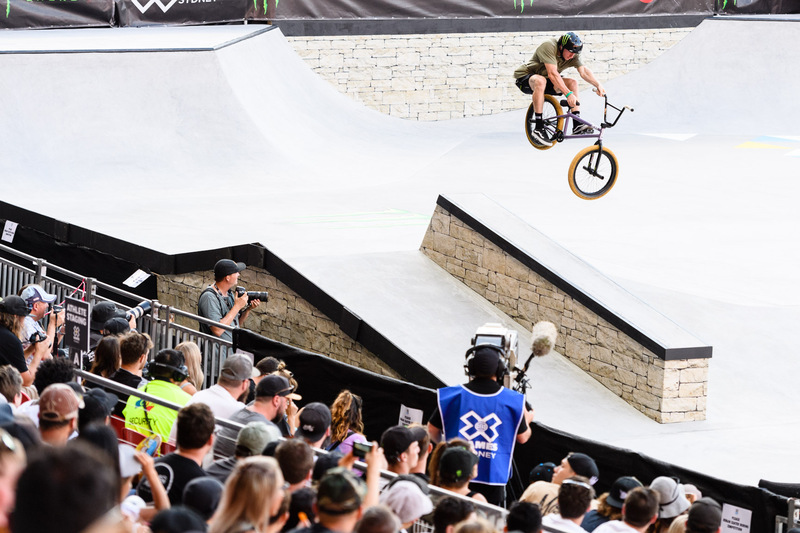 Chalk up the first gold medal for Scotland at X Games. Brazil's Leandro Moreira hails from the Chris Doyle "Less is more" school. And when he does tricks, he makes them count. During BMX Dirt Qualifiers, Moreira combined classic style with boosted jumps to land himself a spot in BMX Dirt finals. Australia's Tas Pappas was one of the first skateboarders to attempt the 900 in the late '90s. He finally landed one in 2014, becoming the first Australian skateboarder to land the trick. The 43 year old has three X Games bronze medals to his credit -- two from Vert and one from Skateboard High Air, which was contested in 1995. He did not qualify for Saturday's Final. 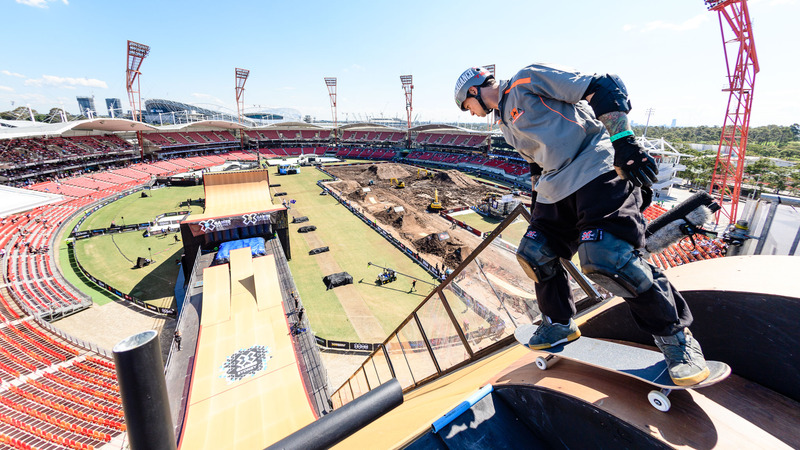 Music is now a staple part of the X Games offering, and X Games Sydney is no different. 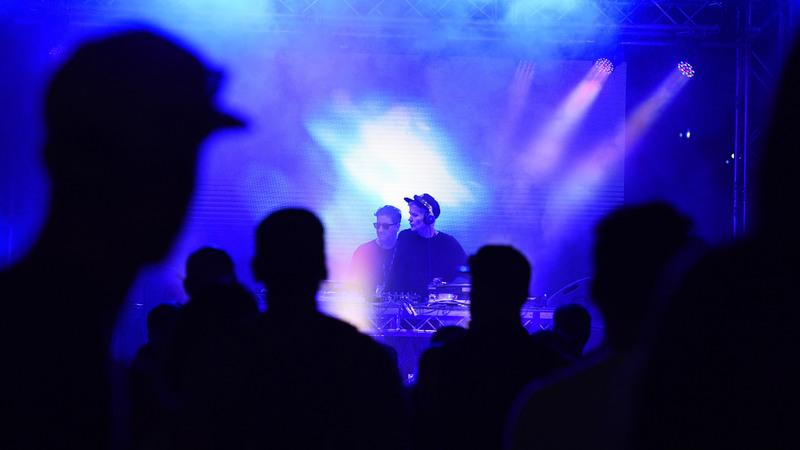 Australia's electronic duo The Avalanches closed out the first day at Spotless Stadium in Sydney's Olympic Park with a DJ set. 360 is closing out the action on Saturday. 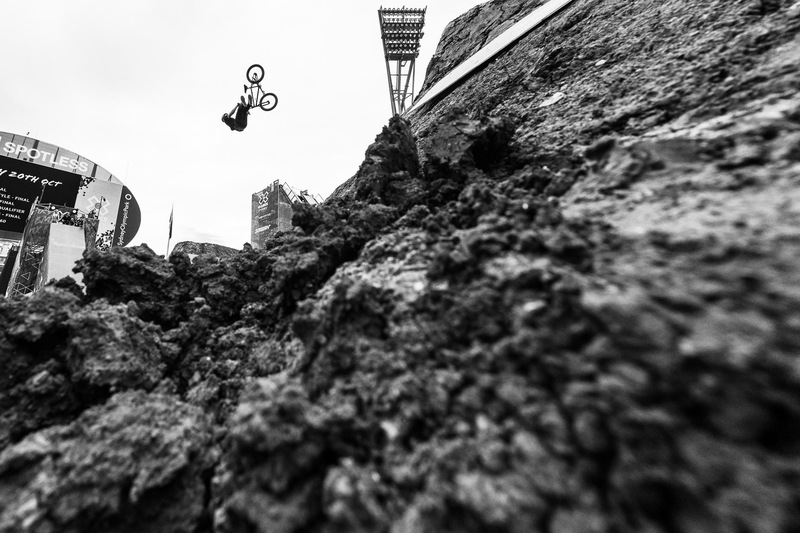 Matt Whyatt practices for BMX Big Air on Wednesday. In between practice runs on Wednesday and Thursday, the X Games Sydney crew were forced to deal with torrential rains blanketing the area. And in true X Games fashion, the crew rallied together to dry the courses and get practice times back on schedule. Don't let the empty seats fool you. 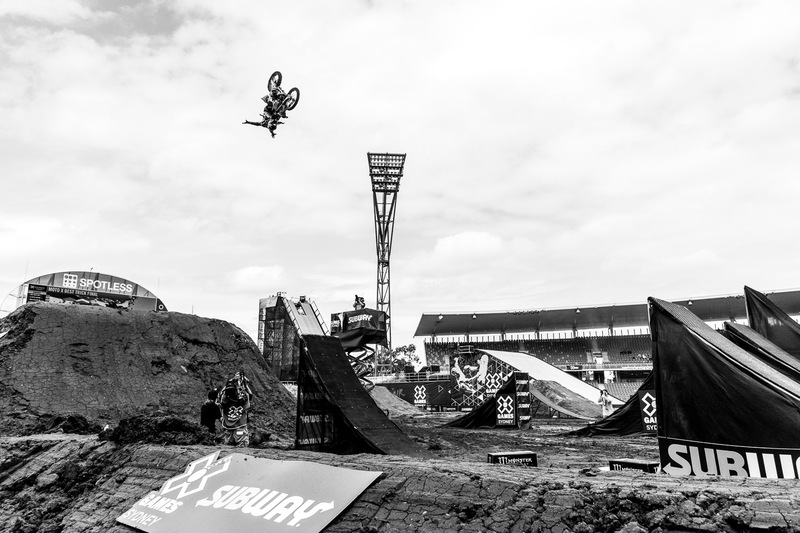 This was shot during a closed practice session on Wednesday at X Games Sydney. Brazilian powerhouse Leticia Bufoni is on hand in Sydney and in search of another gold medal. During practice, Bufoni perfected her flat bar skills in anticipation for Women's Skateboard Street finals. Brazil's Rony Gomes is an X Games regular, but has never managed to podium in Skateboard Big Air at X Games. That could all change in Sydney. And it makes sense since his energy drink sponsor is TNT and that's also one of Sydney band AC/DC's more well known songs. Here, Gomes tests the Big Air roll in during practice day. BMX Street competitors exit practice in search of libations. Teamwork makes the dream work. Here, X Games Norway 2018 gold medalist Leticia Bufoni films X Games Minneapolis 2018 gold medalist Mariah Duran during Women's Skateboard Street practice. Clearly, there are no rivalries on the street course.